One of the oldest operational aerodromes still in military hands. 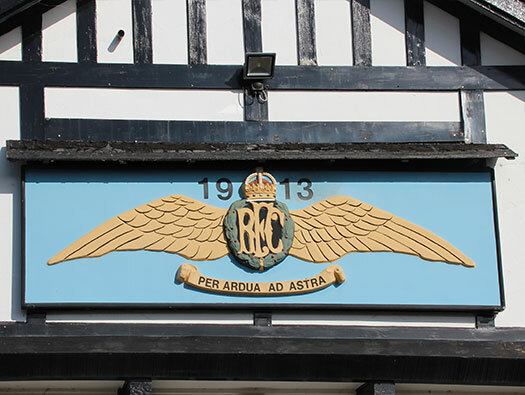 Flying started here around 1911 with the Royal Flying Corps and continues to this day as a Forward Operating Base. Royal Flying Corps brass cap badge. Royal Air Force cap badge. Army Air Corps cap badge. One of the last proper wooden Wilts County Council sign post. They are being all replaced by plastic versions. Its been replaced. 1916 side opening wooden hangar. A 1913 wooden hutted camp. 2 x Type A hangar 1927. 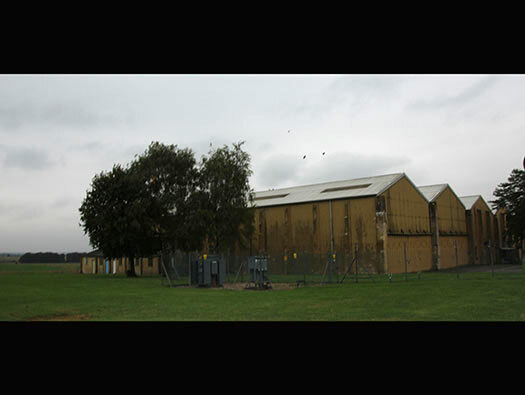 2 x Cathedral (HP 2 & 5 bay) hangars 1918 (2bay has now been removed 2017). 1 x Bessonneau hangar WW1. 1 x Bellman hangar 1940. 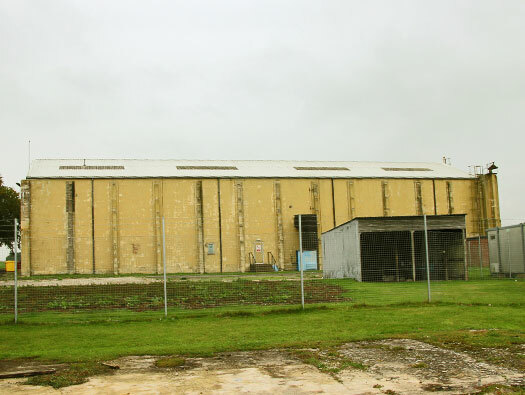 1 x Side opening 1916 wooden hangar until recently demolished. 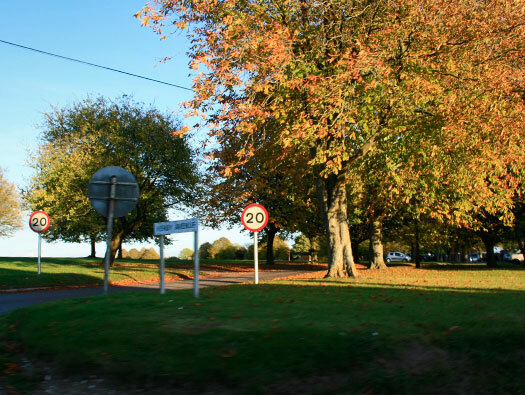 I have started on the road leading from the Village of Netheravon. The first building now a house was, as I remember it, the Catholic Church for the camp. 86 Church R.C. Perm. Brick (RE/18/14). The red arrow shows where we are. 1958 Plan of the Main Gate. 0 ------ number in italics, the plan Number. [PB] - Permanent Brick - built in standard brick work. (numbers in brackets) these are the RAF drawing number. DFW34/13 means a 1913 plan and 445/21 a 1921 building. 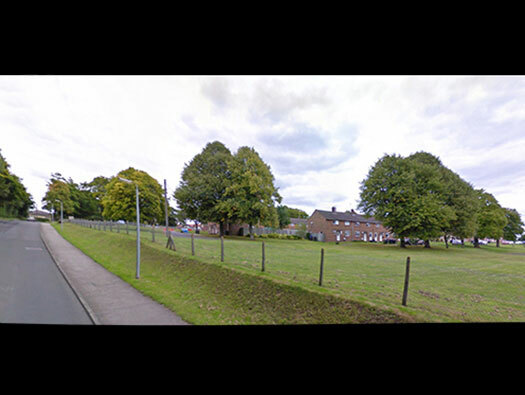 As you come up the hill, the married quarters are on the right and left, 8 on the plan was the Mortuary, a timber framed asbestos sheets and the red spot the telephone box next the Guard Room. Behind the he guard room was a green house, tool shed and a nursery. This is how the guard room may have looked as its how I remember it, the main items were the porch and the full length mirror by the door. I believe this is of the guard room in the 1950/60's. The original married quarters No. 's 1 to 28 with drawing numbers (73/13) have been remove. 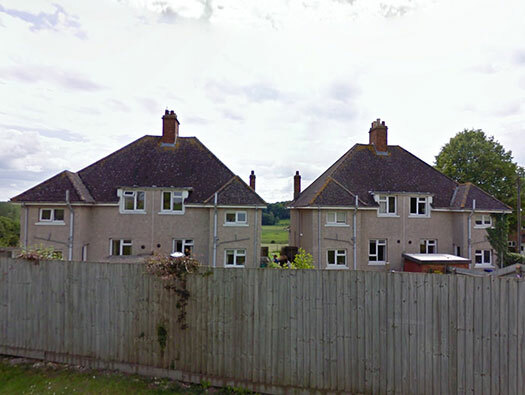 The newer types 29 to 38 are 3bed and 39 to 62 are mixed 2 & 3bed of a later date. The ones you now see are around 1950's. 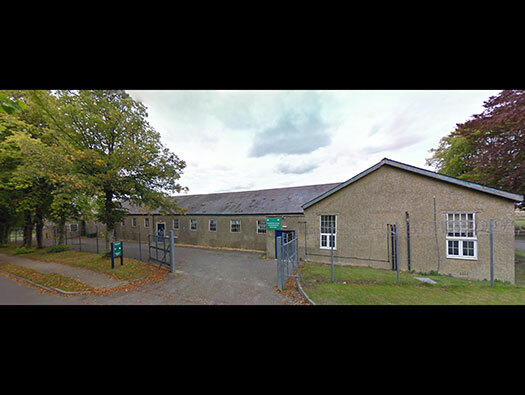 The picture is a WW1 building at RAF Upavon and Netheravon had a similar building where the married quarters now are, it was an extended Officers Mess. 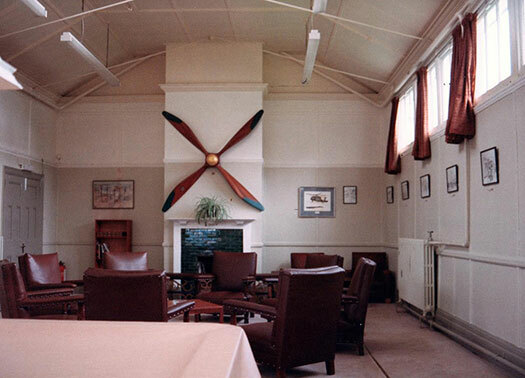 The original Officers Mess was designed and built for a very small RFC of probably no more than three small squadrons (a Wing) with about 36 planes. Most pilots at the time were offices, plus a few more senior Officers for admin purposes. 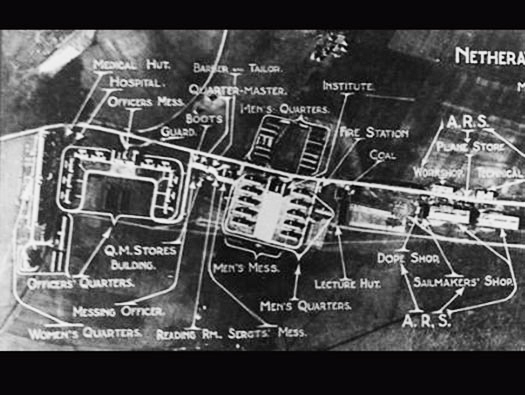 The original quarters were very adequate but after the start of WW1 when Netheravon expanded dramatically as a training station it needed much more room. Along where the 1950's married quarters now are was a complete set of buildings to house the many officers that were passing through here. Plan of where the second Officers mess was. The original married quarters No. 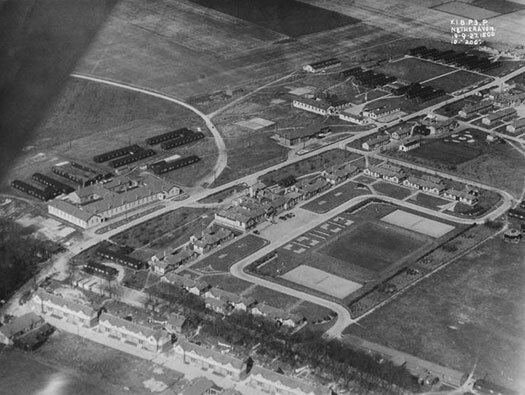 's 1 to 28 with drawing numbers (73/13) have been removed but in this 1927 air photo shows the married quarters in their blocks of four.. 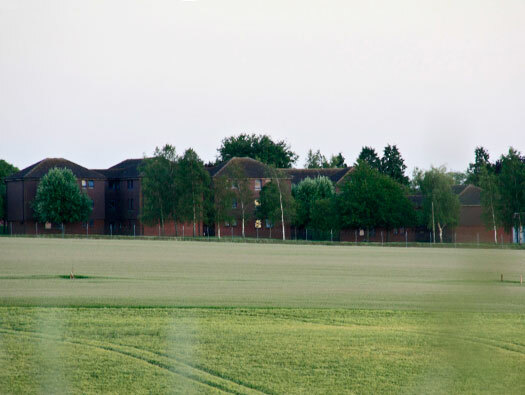 The Officers Mess and grounds behind. There was a long row of four blocks of four, Airmen´s Married Qtrs. [PB] (D.F.W 73/13). There are two blocks of two (73/13) still here set out the far end of the estate. [PB]. The row of airmen´s married quarters..
6A Married WD Quarters No. 1-2 [PB] (D.F.W.73/13). 6B Married WD Quarters No. 3-4 [PB] (D.F.W.73/13). Education Centre (42.126/42). I remember watching the ''Dambusters'' film here as a child and also my family ran a taxi business as well as the local garage and my mother would collect and deliver the drums of film from the NAAFI in Amesbury to the cinema here. The main ones I remember were the films of Elvis Presley. The guard room was on the left. This was the main gate although the road was open to the public and you could drive the whole camp. 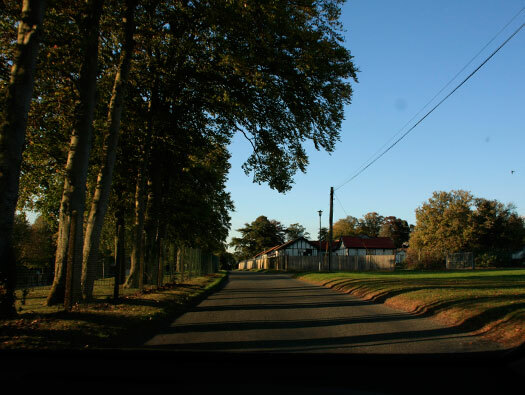 Most RFC and later RAF camps had a road running through them for some odd reason. It was an open right up until the IRA bombing campaign. 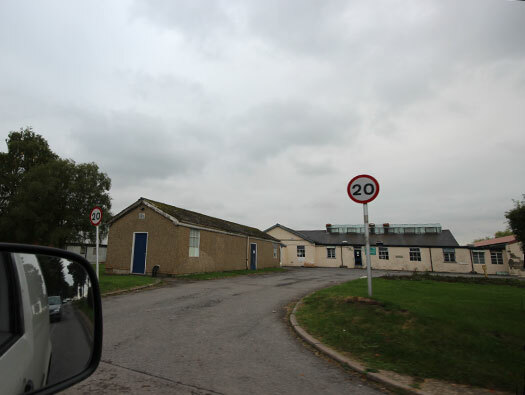 This one was never bombed but Netheravon army camp in the village was and one hut was fire bombed. Quite a lot of personnel equipment was burnt due to the fact it was all old stuff and the soldiers wanted to have it replaced (old army trick) and threw it in the fire. 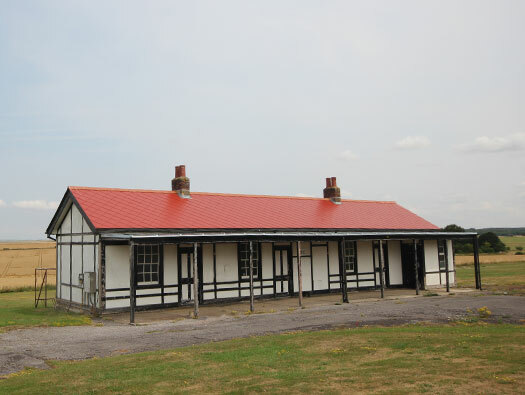 The old 1880's huts at SWW Netheravon, the type that was burnt down. 1A Guard Room (Permanent Brick). The guard room with a very smart RAF Police corporal stood at the door. .
Air Ministry boundary stone No.25. 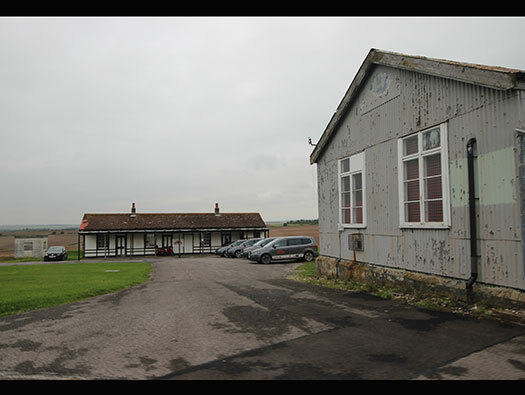 History : Netheravon started life before 1913 as a cavalry school and gallops on Choulston downs. Exorcises took place here with aircraft and cavalry. 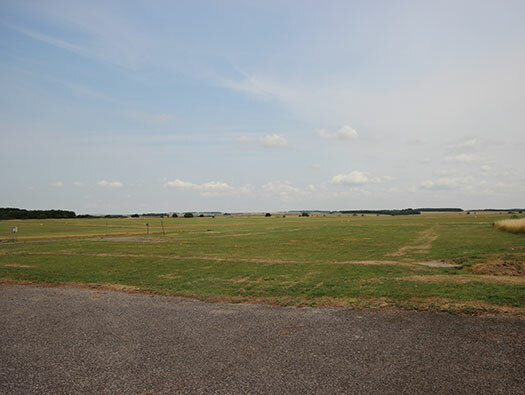 Due to their success the area was taken over as a Royal Flying Corps aerodrome. 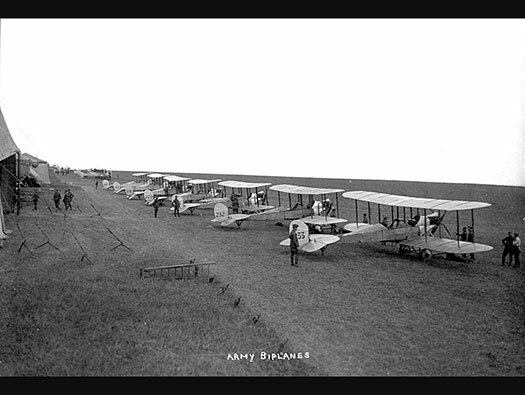 By the summer of 1914 the whole of the Military Wing of the RFC, 700 personnel and 70 airplane assembled here for a training exercise. 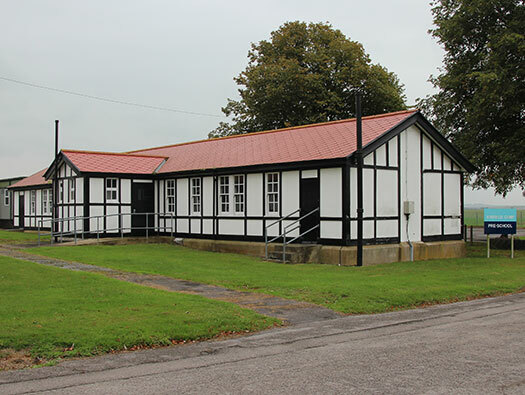 By the start of WW1 Netheravon was the centre for preparation's of squadrons to be assembled and sent out to France. That early exorcise on the Plain. 80 Gymnasium, Lecture Room, Cinema, Training Wing, HQ. & Offices (121/41/125). Education Centre (42.126/42). This building has had lots of uses over the years. The main plan I am working off is AM 13506/58 - 1958. 80 Gymnasium, view from above. Education Centre (42.126/42). This building has had lots of uses over the years. Only the front remains. 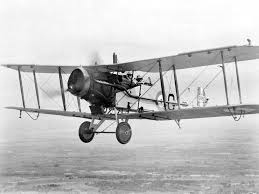 History : 1919 Netheravon is now is a training station, with 1918/19 being a start of decline as the war had finished, by the mid 20's expansion starts again with the rise in the number of bombers the French could send to bomb us. Chief of the Air Staff Hugh Trenchard, the head of the then RAF wanted parity with the French. 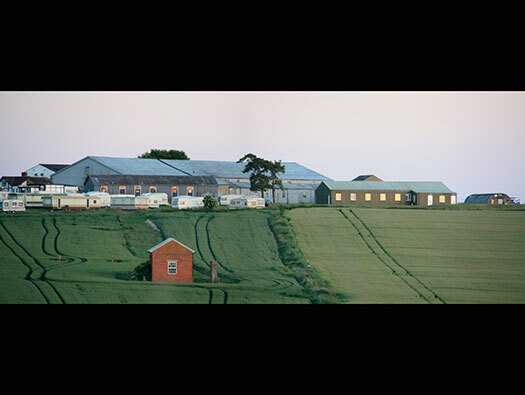 This is when the new red brick buildings [PB] were built and the two Type 'A' sheds. No1 FTS with DH9's, Sopwith Snipe & Avro 504's. Then the training of Naval officers for the Fleet Air Arm with Bristol fighters & DH9a's. In the 30's the FAA used Netheravon for squadrons when their aircraft carrier was in dock. 1935 No.6 FTS was reformed with Hart, Audax & Furies. 6FTS moved out. 1FTS moved in again and this time 1939 with the noisy North American Harvard's. 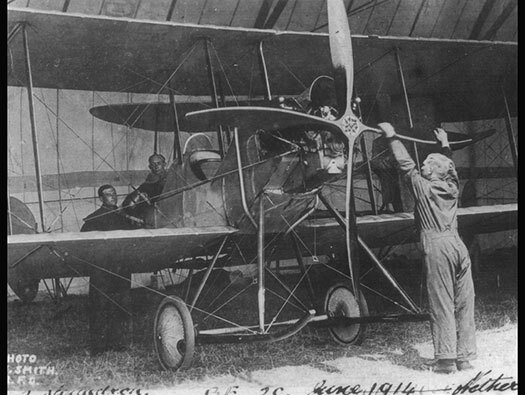 DH9a of No.1 Flying Training School. 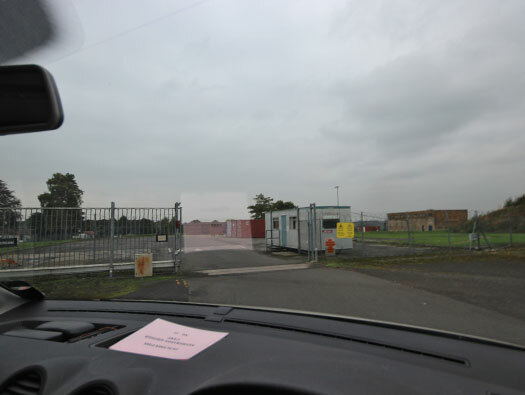 The newer main gate/guard room with the road now blocked. 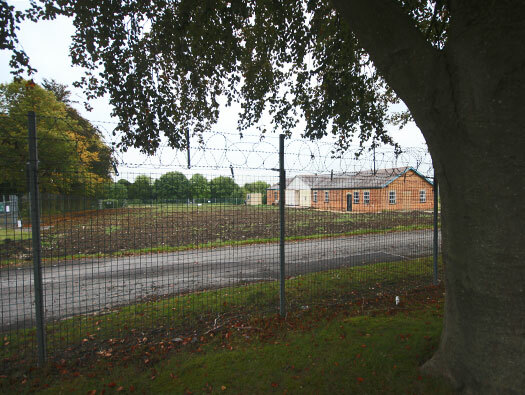 Since the IRA started targeting army camps, all military establishments are protected (at great cost) with a main gate and guards wondering the areas. Oh and many cameras. As kids we could cycle past the old gate and wonder all over the camps and never be told off or moved away. I wish then I had had a camera. How we may have looked. West Cap administration and living. Looking at this great plan showing the Officers quarters and Mess and next the building to the right was the Sergeants Mess. 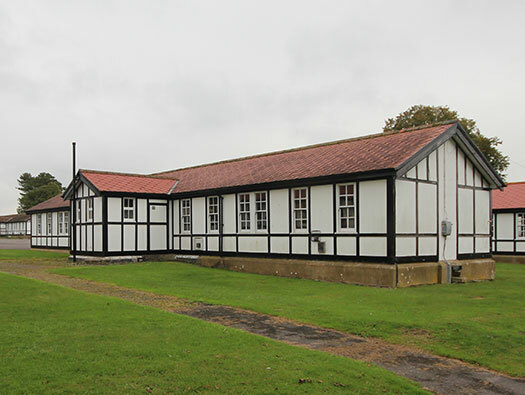 The Men's Mess, Institute and quarters is now the Sergeants Mess and lecture rooms. Mens quarters were on the other side of the road have all been removed. Several A.R.S. 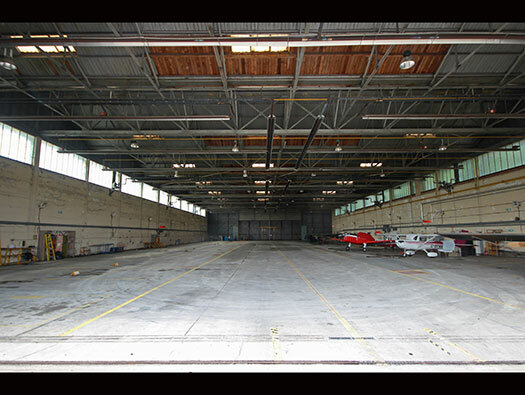 (Aircraft Repair Sheds), a Dope store, Plane store, Workshops and Sail makers shop. There was a Hospital, Medical hut, Quarter Masters, Bank & Tailors. Women's quarters and a reading room. 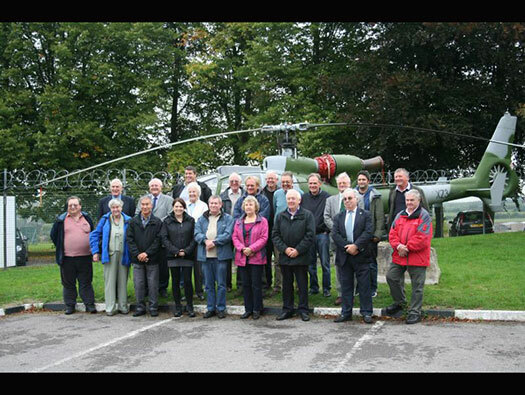 The 2013 visit to Netheravon with members of AIX. Airfield Information Exchange. the forum and group. 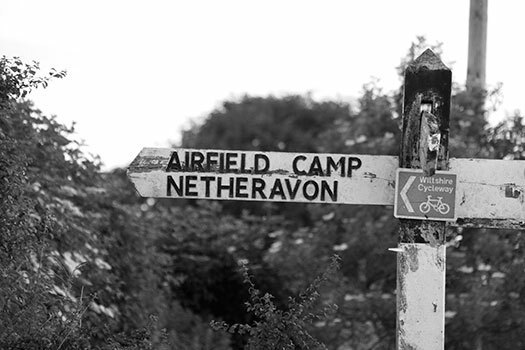 We were taken first around RAF Upavon and then RAF Netheravon, Wiltshire, now both in the hands of the Army. 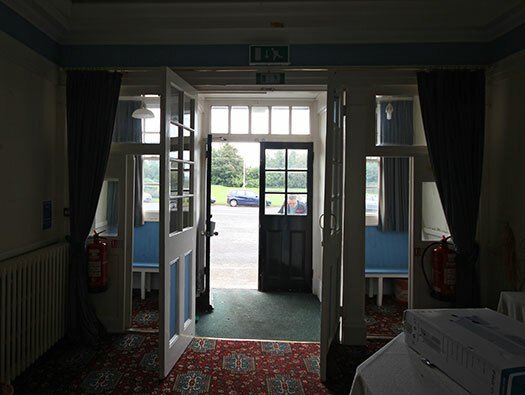 9, Officers Mess [P.C.C. dwarf walls, timber & asbestos]. (NN93) drawing number. A 1914 Flight magazine page. Click here for a very good RFC website. P.C.C. dwarf walls, timber & asbestos method of building here. PCC dwarf walls are the low wall on the left of the picture and then timber & asbestos, four" x two" lengths of timber laid on the dwarf wall and then the uprights & top horizontals, covered in sheets of asbestos and wooden strips painted black nailed to hold the sheets on. The roofs made of timber frame and iron truss supports. 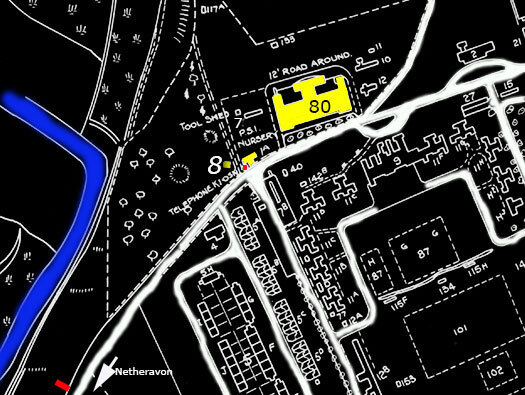 In the village is where TW Drew, The Garage, Netheravon my fathers and then my garage until the late 70's. This building was built in 1916 and removed off the camp in 1926 then re built built as two garages. We had to replace most of the 4x2's at ground level as they were rotted out by the 70's. 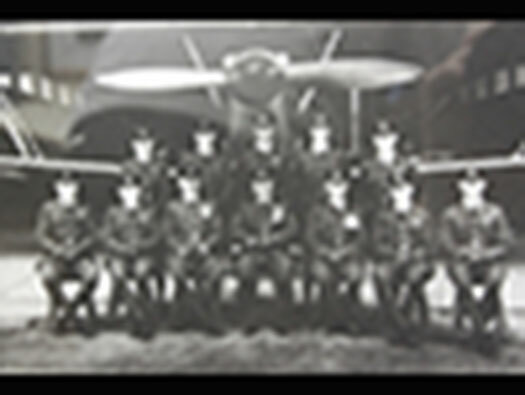 The RFC Wings were based on the Royal Engineers badge. Mr Choi aeroplane artist and airfield enthusiast. Note the pair of boot scrapers, it shows that their boots would get very muddy. A painting by Mr Choi of a Hunter Mk.6 of Sqn Ldr Topp of 111Sqn RAF Wattisham 1958. Main entrance. A member of the Mess staff would sit in the cubicle on the right where officers would sign in and out. Main entrance. The view out. The two Officers who kindly showed us around Netheravon & Upavon. One of the main rooms. A very tired officer pilot. This picture was taken when the AAC were in operation here. It shows a lovely propeller from WW1 and leather armchairs. History : World War 2 has started and flying training continues at a great pace. 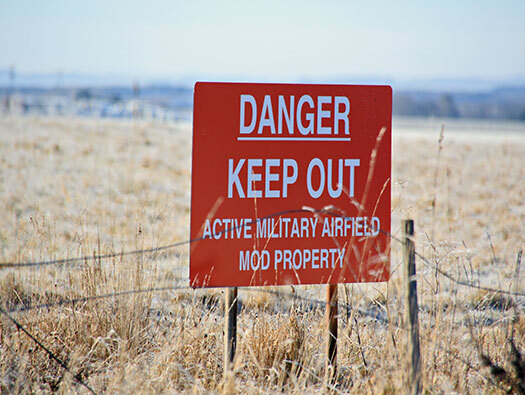 As more training airfields are built across the country and the world, Netheravon's roll starts to slow down. By 1942 Airborne Forces moved in and bring the Glider Exorcise Squadron and the Parachute Exorcise Squadron together. RAF 38 Wing was formed here to take over the running of all these units. The lamp shades look very contemporary also the fire places. The reason I added this photo is to show the wooden roof. Married officers living in double room. Single officers living in room. Officers Mess kitchen. It would not take too long to recommission the mess. 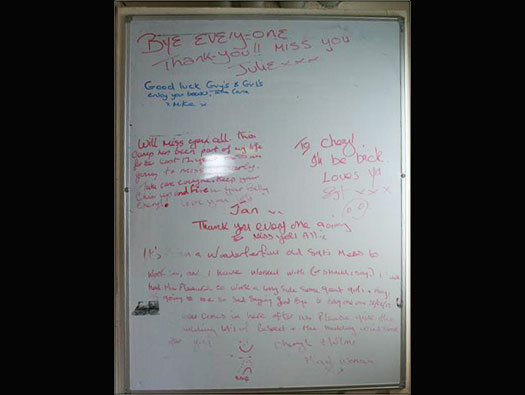 A message left by a happy staff. 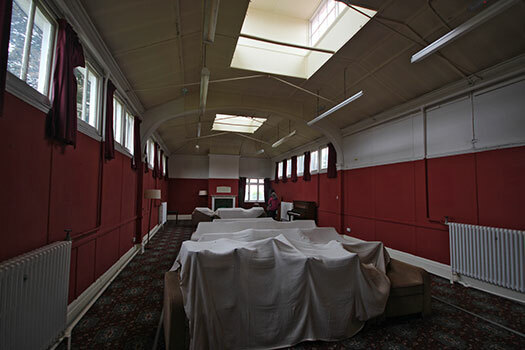 A WW2 extension and 11f Officers Mess Games Room. An extension built in temporary brick design (TB) of WW2 hutting but using the almost matching diamond roof tiles. 29l Class Rooms and Offices. [D.F.W 27/13]. Were some of the men's quarters WW1. 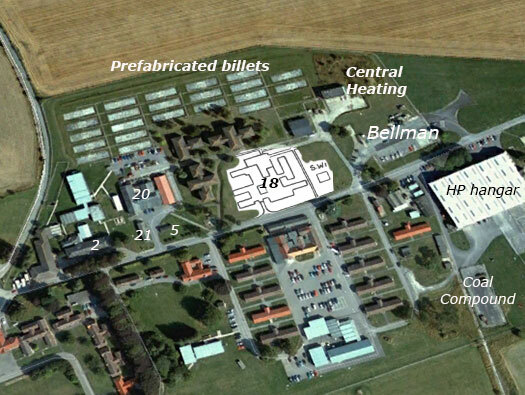 29k N.C.O Cubicles ( I am presuming NCO's accommodation). 29l Class Rooms. Both [D.F.W 27/13]. Institute WW1 Sergeants Mess WW2 and later. In 1918 this was showing up as the men's Institute. 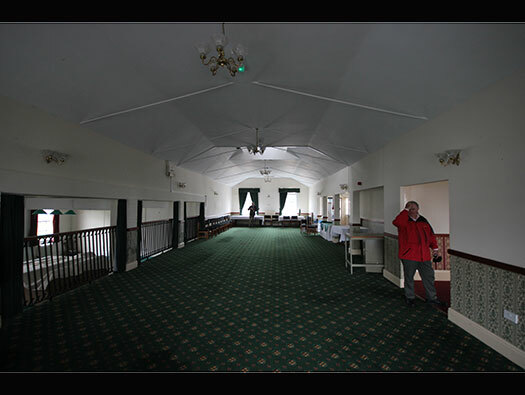 Large room and attached games room on the left. 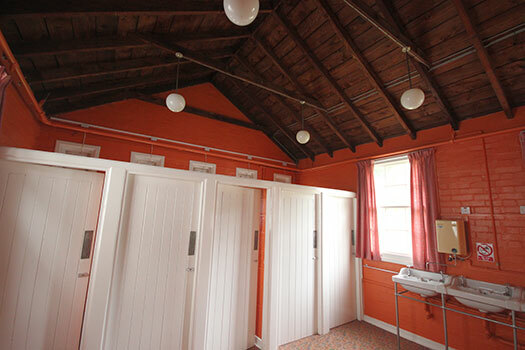 The attached games room and toilets. Possibly a WW2 addition. Was the institute where soldiers could get some extra food ad a cup of tea, they could rest, play games and write letters. All entrances have boot scrapers. It must have been a muddy period. 22a Store Timber Framed asbestos sheets [D.F.W.28/13]. This used to be a Play Group on the camp and my middle son was an inmate here. 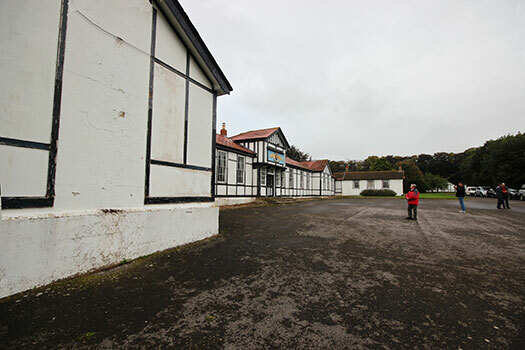 Airfield Camp Pre School. The sign has now been removed 2018. Western camp. 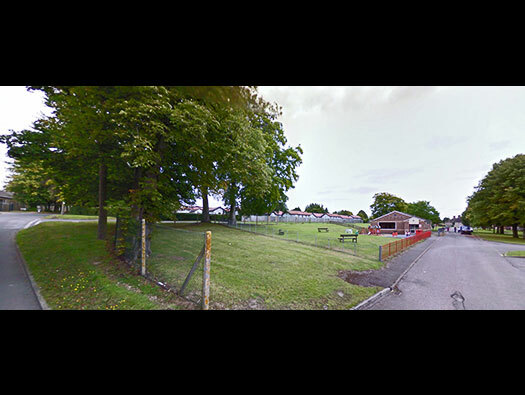 You can just see one of the original classrooms on the right side. 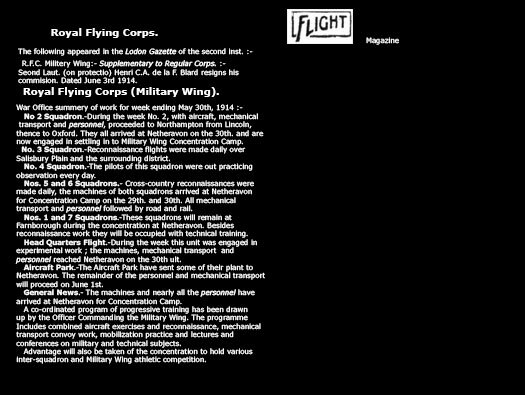 Extract from Flight magazine saying what was happening at Netheravon June 1915..
16 Squash Court [PB] [1842/35]. A 1935 model Squash court. Officers were persuaded to take up sport as it kept them fit and honed their skills. 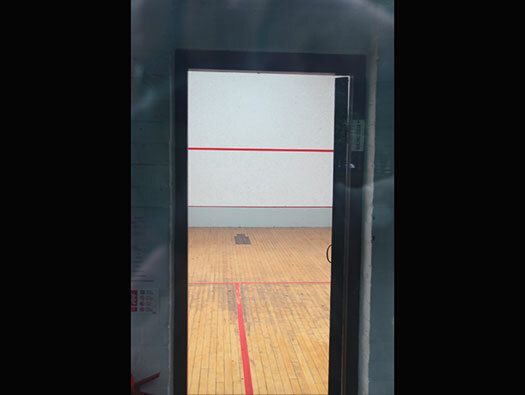 Most RAF stations have/had a squash court. Inside with stairs up to a viewing platform. Still looks in very good condition. 38a AAP Handley-Page Storage Coupled Sheds shed [Stone, C.S.S. Roof] (884-886/19), built in 1920 and has Bath stone block wall. Five Bay Handley Page Hangar. Built to accommodate the Handley Page bomber which could fold its wings to fit more into a hangar. 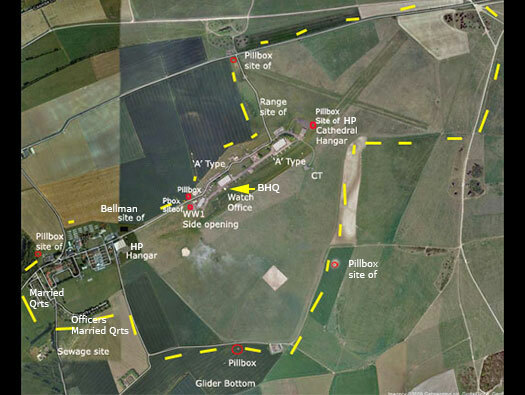 Netheravon was going to be part of the southern bombing area with RAF Boscombe Down and RAF Stonehenge. Handley Page 0/400 of late 1918. This is Robert Karr's model, go to his website by clicking on here. Another image from Robert Karrâ€™s 0/400. An 0/400 with folded wings. Large bi-fold doors could be opened to its full width. 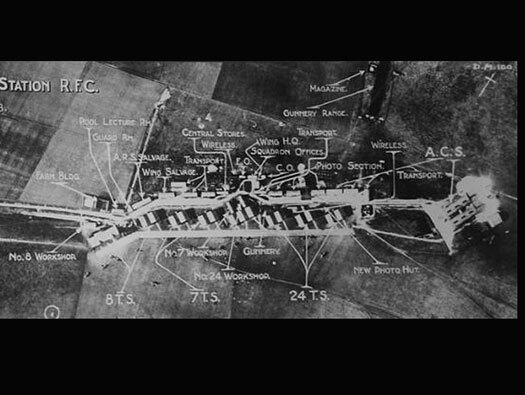 History : At the end of WW1 Netheravon like several other stations in the south of England were to be converted into heavy bomber stations with Handley Page bombers and a large accommodation hutting and hangarage was to be built. Well the two hangars were built but the plan changed and the bombers went somewhere else. HP bombers were stationed here in 1918/19 and just before the Armistice in November 1918, there was a terrible gale that blew four HP´s and many other aircraft over. The HP´were never hangared in these two sheds for some unknown reason?? HP shed looking inside at the narrowness of the layout. 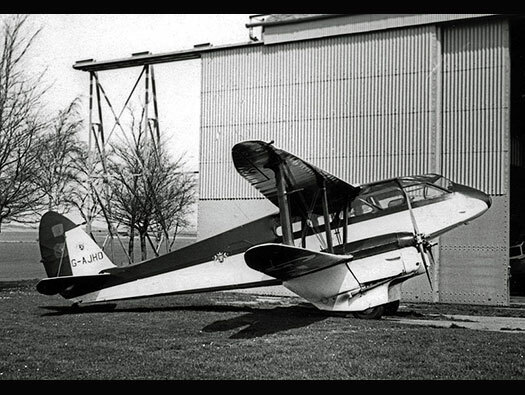 HP bombers were designed so they could fold their wings and and fit into a smaller space. West camp sheds in use in the 20's/30's. 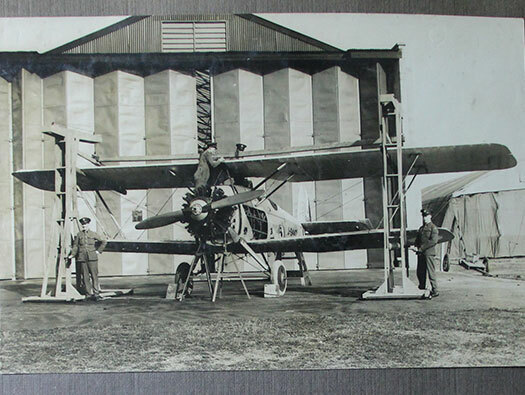 In this picture there is a Bessonneau on the right of the hangar. 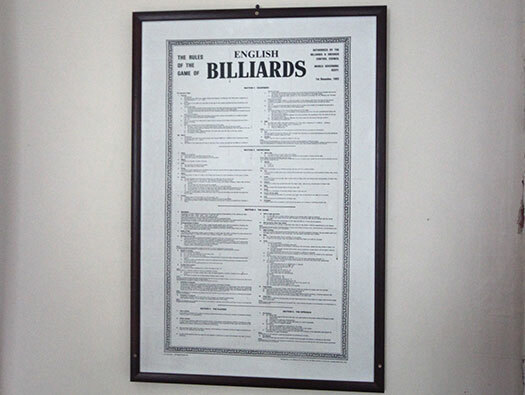 Made of a wooden frame covered by a canvas cover. The aircraft is either having its top wing removed/replaced. 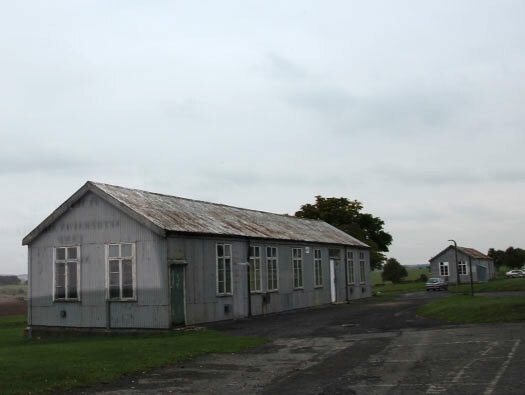 Where the Bessonneau hangar stood in 1930, now a set of WW2 TB buildings abut the hangar. Later in the 50's it was the Motor Transport section garage. Bedford Queen Mary aeroplane transport. 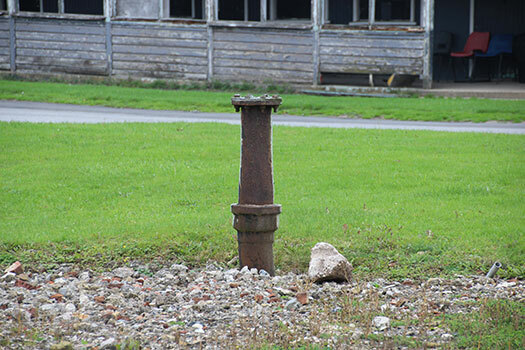 Defence post which may have had a Lewis gun on a centre mount and possibly an air-raid shelter. The road which joins the two camps. In WW2 a tractor was used with three trailers and set on the trailers were some old cinema seats, this was used to transport from east to west camp a bit like a bus service. To sit on the third trailer was precarious as at speed coming down the slope, it would swing wildly. Heading out to the East Camp. 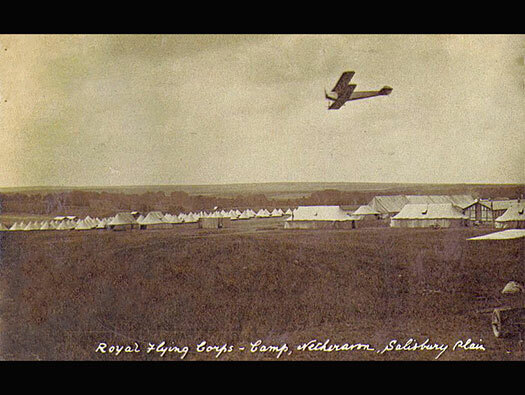 RFC Station Netheravon East Camp 1918. 8th, 7th, 24th Training School. (ACS - Air Craft Shed). Officers on Concentration at Netheravon. Something else that was new to the British forces was not only this new fangled flying machines but also Motor Transport for ever now called MT. Horses were on there way out. The road between the two camps is on the left. 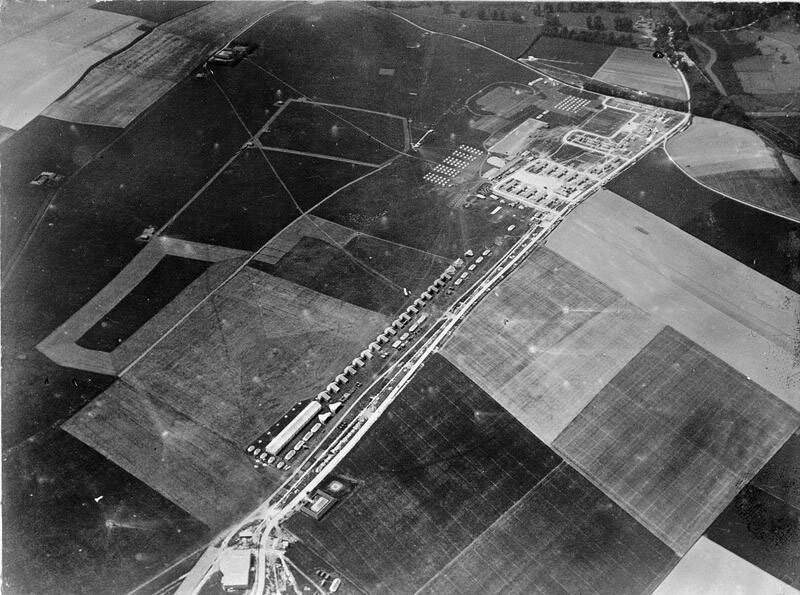 In 1914 canvas hangars were laid out along this road for the 1914 Concentration Camp..
Aerial view of Netheravon Concentration Camp shortly before the outbreak of The Great War. BE2e's at the Netheravon Concentration Camp shortly before the outbreak of The Great War. ''Concentration Camp'' the meaning here was to bring together and train by using practical experiments in order to test theory. Cooperation with the artillery, infantry and cavalry, radio air to air, air to ground. Photographic, reconnaissance and just learning what to do with this new asset. There was a lot to learn. Pud Reed a South African pilot in the Royal Flying Corps. Smith RFC BE2c June 1914 a very good posed picture. Air to air early combat. Pill Box one of many that WERE here. Possibly a Type 22 pill box. I knew of seven and there are now two left and the remains of one. Plan of a Type 22. We called them Threepenny pieces as they had as many sides. 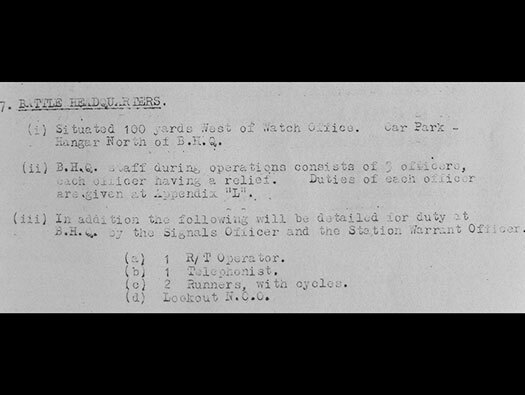 Details of the manning of the Battle HQ in the event of an attack. The BHQ has now been removed. 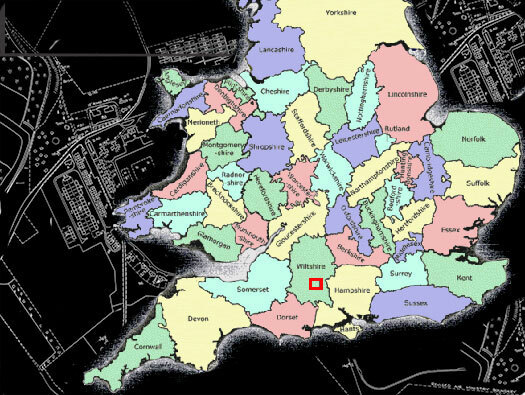 Plan of where the Pill Boxes were sited. Mostly Type 22 made of concrete with earth on their roofs as camouflage. In 1940 Netheravon came under 'an aerodrome close to the enemy' so had it to have a large defence in case of a parachute and glider attack. So a full range of pillboxes, a Battle HQ and many trenches were built all designed to face the runways to hold and beat a airborne landing. Also a squadron of Beaveretts, small cars armoured and armed with a machine gun. Ox Barn 79 Contractors Store & Yard [PB]. 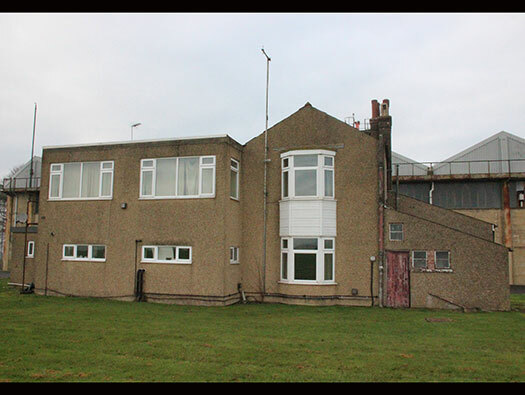 This building was the Ox Barn, built for the original farm out of hand made dark red brick and in the time of the RFC it was used as aircraft storage and RAF, Army Air Corps days it was the works office and yard. 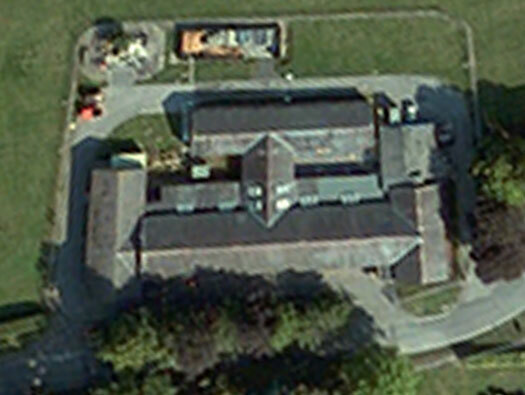 The Ox barn from above. My Grandfather was a ploughman with Oxen in the late 1800 not here but near Melksham. My grandparents with my cousin in the 1950's. 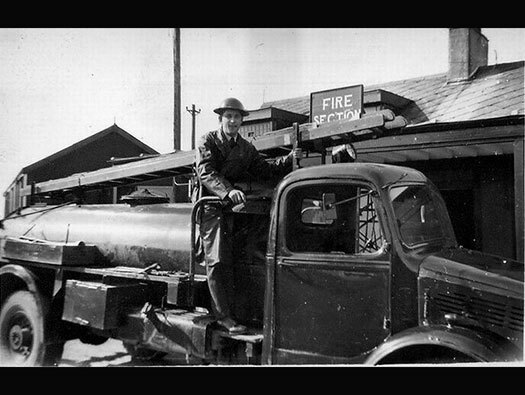 43b Fire Tender & Inflammable Store [Steel corrugated iron]. Wooden 4"x 2" framework with corrugated sheets. 2018 its been removed. 43b Fire Tender & Inflammable Store [Steel corrugated iron] 2018 its been removed. I think this was the water inlet/outlet to the water purification plant. 46 A.M.W.D Pump Attendant [Timber & C.S.S.]. 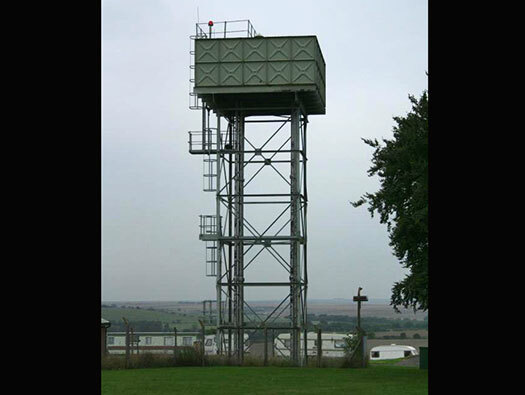 46b Water Tower [Steel] (Braithwaite Tower). 47 Hill Pump House [Timber & C.S.S.]. 72 Booster Pump House [PB]. Braithwaite water towers used to litter the landscape around wartime airfields and army camps. 1913/14 water tower, replaced in the 50's with a Braithwaite. 1b Fire Station & Picket [Timber framing and asbestos] original RFC guard room. 1b Fire Station & Picket [Timber framing and asbestos]. A fireman and a fire tender. 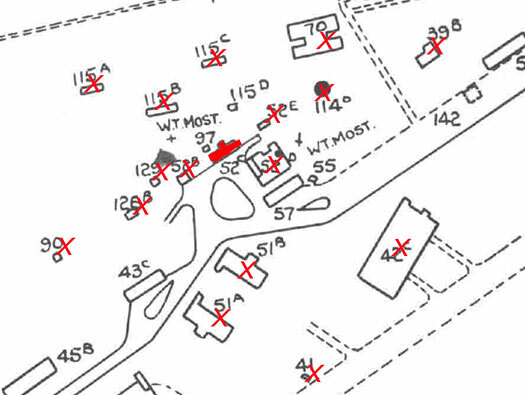 1b Fire Station & Picket [Timber framing and asbestos]. Guard room in the RFC days. A bit like this 9026/41 latrine. 63 Technical latrine. Now coated in modern sheeting but may have been made in temporary brick. 43c Accounts office. This building I have always noted its very large windows and an airy space, so as the accounts office it would need to be like that. 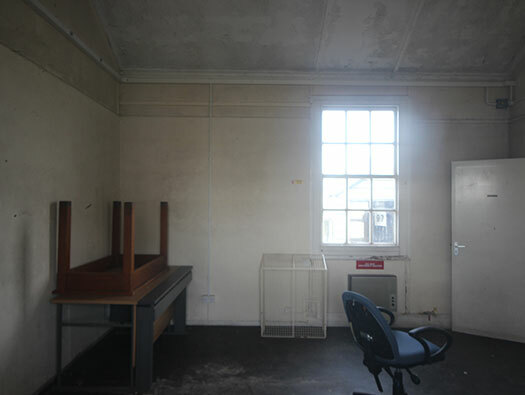 Station office in a large RAF camp. Salvage was very important in both world wars and a lot of materials went back to make more equipment. Planted trees. 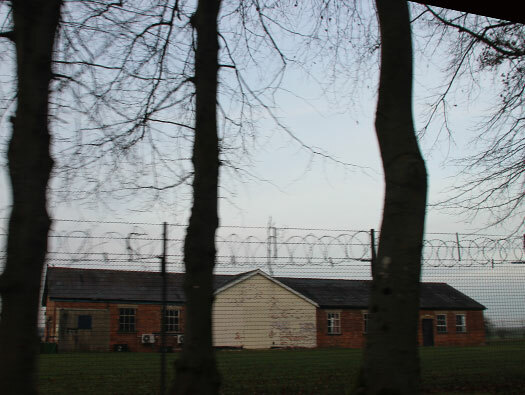 Trees were planted between the wars to soften the look of the hangars and buildings. This I believe started in the 1930's and the RAF had there own nurseries to grow these trees for RAF stations. In the back ground is 126b Static Water Tank (14000gls). 52c Orderly Room HQ [Timber & Asbestos]. WW1 Squadron Office. Many huts have been removed, I was horrified how many. 2003 how it used to look. 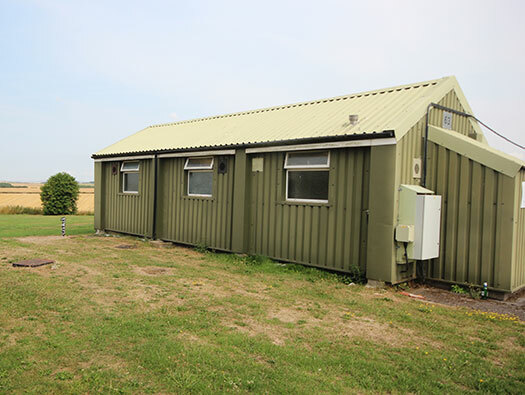 39b HQ Offices for No3 (Dog Training) Squadron. 41 Bulk Oil Instillation (U.G.2000 gal). 43c Fire Tender & Inflammable Sore. 51a Disused Timber and C,S,S. 51b Ex Technical store " ". 53 Station P.B.X. & Switch Board timber and asbestos. 70 Dog isolation pens 1/2 Brick. 90 S.A.A. Store, Timber and C.S.S. 97 WAAF's Sanitary annex - Weatherboard. 126b Static Water Tank (14000gal) Brick. 115a-b c-e Brick type shelters. 142 a-c Underground Static Water Tank (20000gal) 7625/39. This is the rear view with a wooden toilet attached. The bicycle shed next to the toilets. WW1 Transport. All along here were transport sheds for the vehicles the RFC had. RAF issuing machine guns for aircraft. 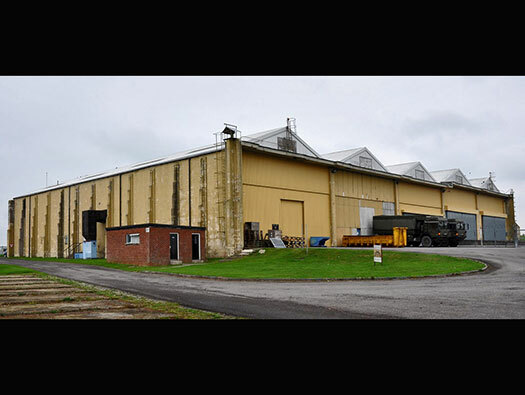 Type ''A'' shed 1498/24 on the left and the Armoury on the right. WAAF and a Pilot around 1918. Plan of the east camp. 60 Magazine SAA Store. [PB]. 65 Machine Gun Range & weather boarded hut. Butts and magazine from the air. RAF Calshot, Hampshires 25yd range and magazine of the same period. Dog Pen. In the 1950's the RAF Police dogs were based here before moving on to Debden, they became fuel bowser storage later and now caravan storage. 2018 empty. There is a dog loading ramp in the right corner. 95 the last Type 'A' Hangar hidden in trees (1478/24). 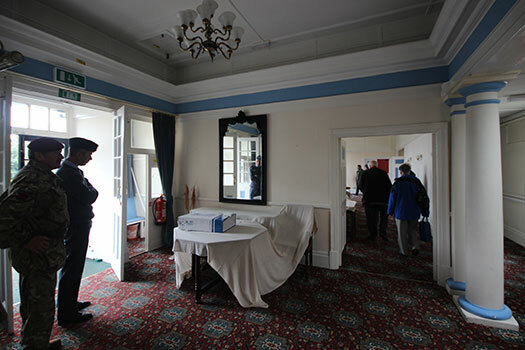 When the Police dogs were here it was used as the Dog Reception & Class Rooms. Basic Police Training Course No. 21 - 1953 both men and WRAFs. 38b AAP Handley-Page Storage Coupled Sheds [Stone, C.S.S. Roof] (884-886/19), built in 1920 in Bath stone blocks. Called the Cathedral Hangar due to the fact there are buttresses on the outside walls. It was built by German WW1 POW's. Buttresses on the end wall. HP 0/100 bomber with wings folded. 38b AAP Handley-Page Storage Coupled Sheds [Stone, C.S.S. Roof] (884-886/19), built in 1918 in Bath stone blocks. There are two runways here but I am sure when the aerodrome was being built in the early 1900, runways were far from the designers thoughts. You just took off into wind. Very rare in this part of Wiltshire to use Bath Stone. High glass widows allow in lots of light. Front elevation would have had large wooden bi-fold doors or sets of large doors that would open to allow full openings. The door openings were 42ft bays to house HP 0/100 with a wingspan of 100ft could fit in only by folding their wings to fit inside. Bi-fold doors on Handley Page shed. HP 0/100 with folding wings. Inside not a lot here to discern what the hangar was originally like. It was used for many years by the Army Fire Service. HP shed door frame detail. Safety ladder to access the roof. HP shed offices built onto the side. 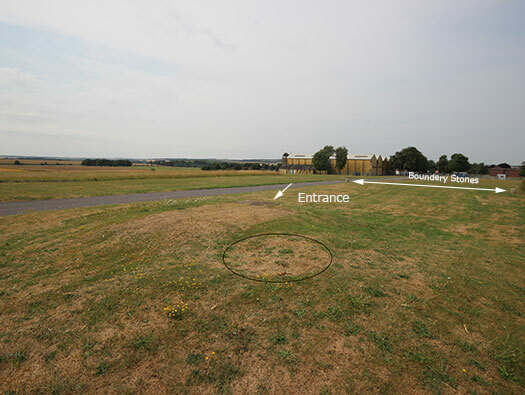 The concrete was a dog pen and would have had high fences to house the dogs and behind on the grass area there were two very large flight huts but on the 1958 plan they had been removed. The two A.C.S. in 1944. The layout of the middle shed showing up in the dry weather..
Not on the 1958 plan. You can just see a bolt to hold down a 4x2 wall plate. Local Control Building 7378a/55 (Side-by-Side Type). When the helicopters arrived from the AAC a new control tower was needed and this 7378a/55 was built out on the airfield. 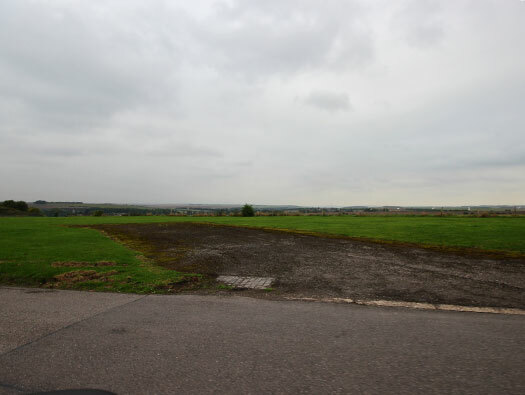 Site of the new control tower. Trees screening the off the Type ''A'' shed. Trees planted between the wars in the expansion schemes. 95 Type 'A' Hangar [1478/24].The Type 'A' shed was a permanent hangar for the RAF post WW1 and at 122ft x 249ft was very big considering the size of aircraft of the period. Well I suppose I had to include a picture of me. 95 Type 'A' Hangar [1478/24]. In the sixties we would play in and out of the hangars and climb up onto the gantries. Four large doors opening to full width allowing aircraft not yet designed could use it. The 'A' shed from above. 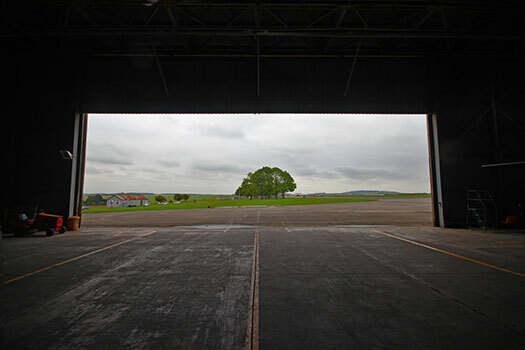 95 Type 'A' Hangar [1478/24] showing the trees running around the hangar. We did not enter this hangar as it is THE HOME OF THE ARMY PARACHUTE ASSOCIATION. In the winter with no leaves on the trees. Continuing along the north side of the hangar. 94 Type 'A' Hangar [1478/24]. Shed of some sort with the side offices behind. I just wonder how long that bin has been there. 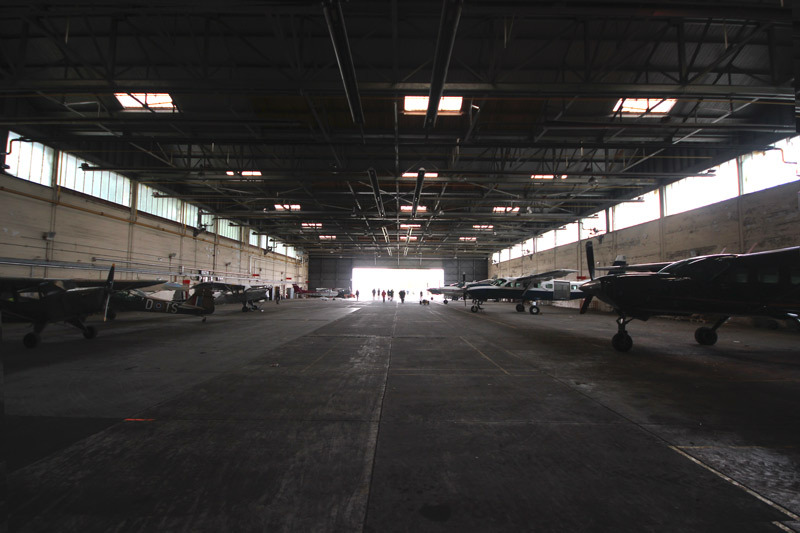 94 Type 'A' Hangar [1478/24] with its full 122 ft span. That little handle can be wound by one person and will open a door to its full width. Well it could if the door buttresses had not been removed. Roof made of steel purlin´s and in filled with wooded boarding and then covered in an asbestos tile. Now re covered in modern steel sheet roofing. History 1929 1FTS. No1 Flying Training School. The same hangar one in 1929 and the other 2013. Just noticed the early water tower in the background. Aircrew fitting into their uniforms. Austers were the mainstay of air observation with the army for many years before the helicopter took over. This is the view with only two of the four doors open. 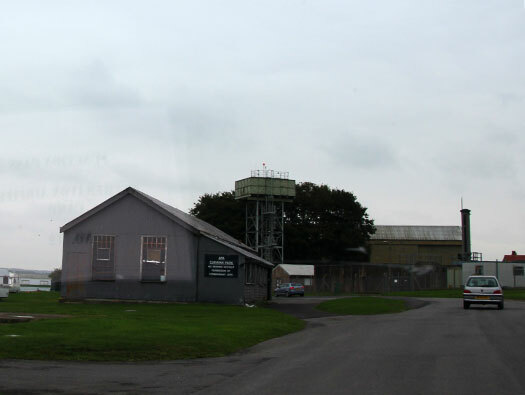 The Army Air Corps used these two hangars, the five bay HP on the west camp and the two bay HP hangar was used by the Army Fire Service. In the Army Air Corps days we had Beavers. 249ft long, 30ft high and 122ft width would easily fit a Lancaster at 102ft. In the WW2 we would have had Dakotas. The door runners and uprights have been removed. Post war Beverley's for heavy lift. 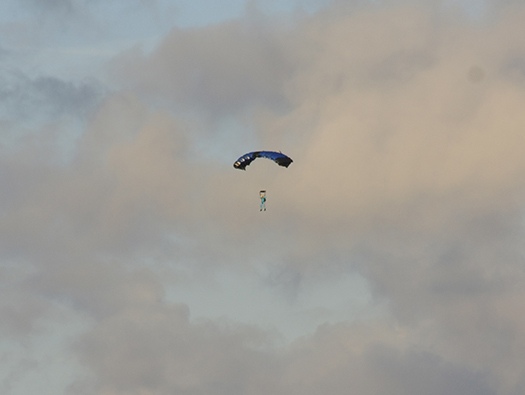 Hastings taking over parachute duties. 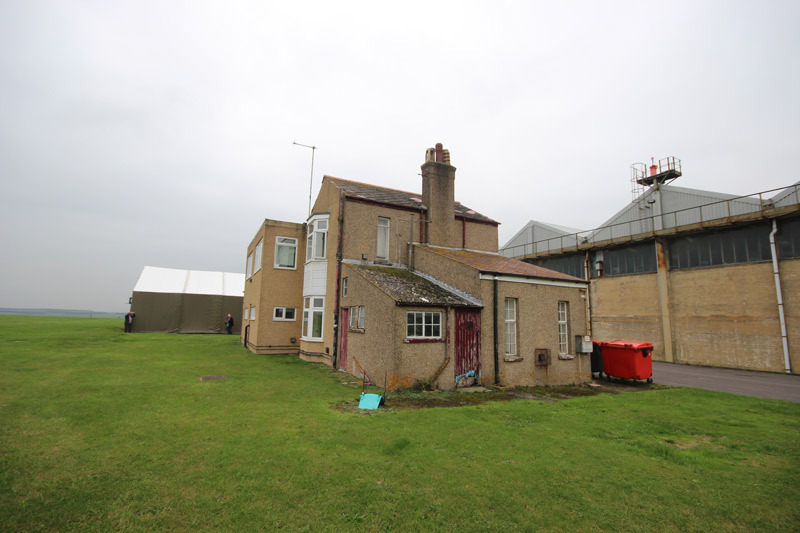 Base of the door runners and behind the original watch office and the WW2 control tower. Skeeter an early petrol engined helicopter. 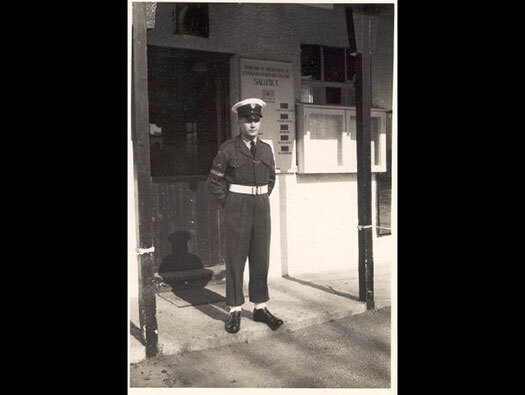 In 1958 it was the sports store 95a Watch Office (2027/26). 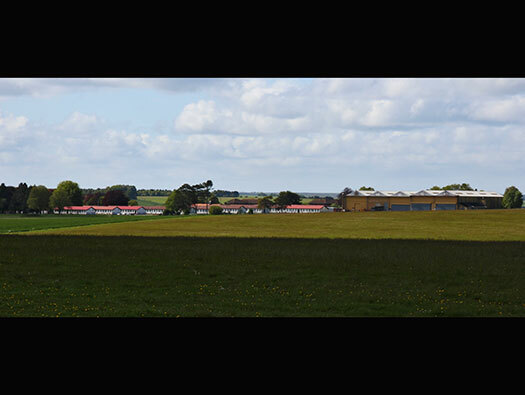 By 1958 the airfield was not being used as a flying functioning airfield but as a Police dog school. To keep the service men and women fit there was a full running field, 100 Sports arena (Grand Stand E Terraces). As a kid I can remember many Americans soldiers came here to train with the our airmen. They were in their green denims, our RAF lads always had to be very smart and wore their No1,s. There was a cafe in the village with a Juke box. The Americans would sit and click their fingers to the music. The little things you remember. By the hydrants is an aircraft tie down concrete block. Ron Aiello and his dog Stormy in the sort of denims I remember. The early 1920's watch office with the later wartime extension. 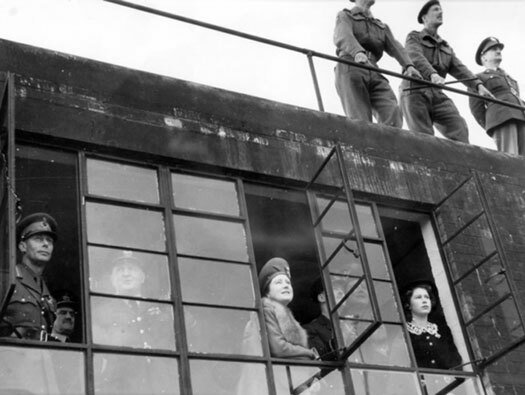 The Queen Mother looking out of the control tower windows around 1942. 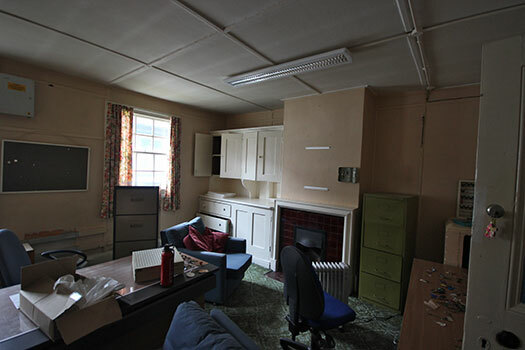 95a the early 1920's watch office with the later (2027/26) and later wartime addition on the left. There was no balcony but the roof was accessible. Operation Sparks. 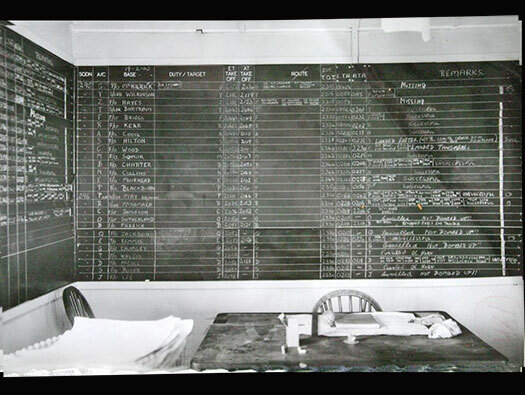 Operations board in the watch office. A bombing raid on France with aircraft from here. I was sent this picture but unfortunately that´s all the information I have. I think they were in Halifax's. I have played in here but cannot remember what it was like. What it may look like inside. 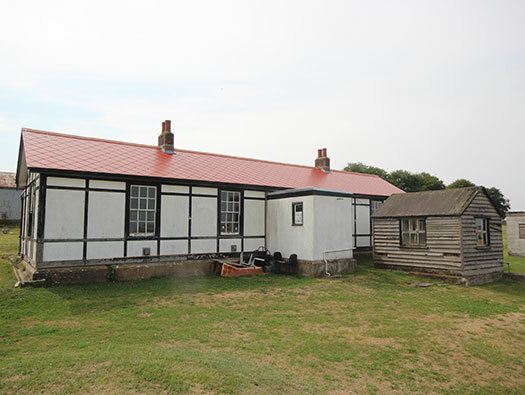 The original watch office at the far end and the WW2 extension this side. 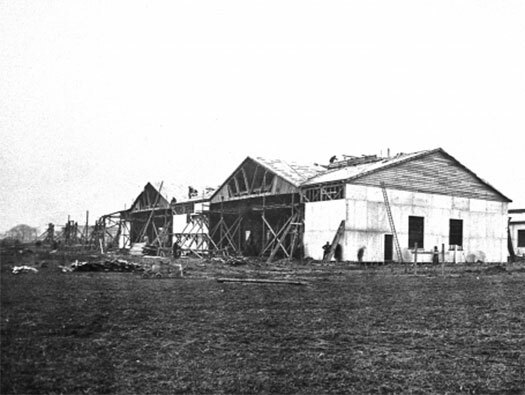 The watch office extension being built after 1942. 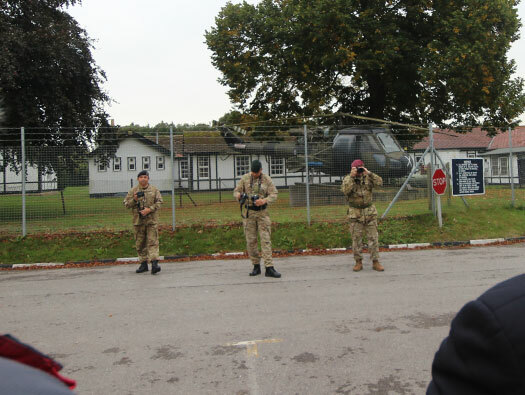 I believe the visit of the Royals was to watch Operation "Exeter" to show off the Airborne forces. (i) To land a loaded Hamilcar glider by day. (ii) T drop 300 troops of Canadian Para, Trg. Coy. by day. 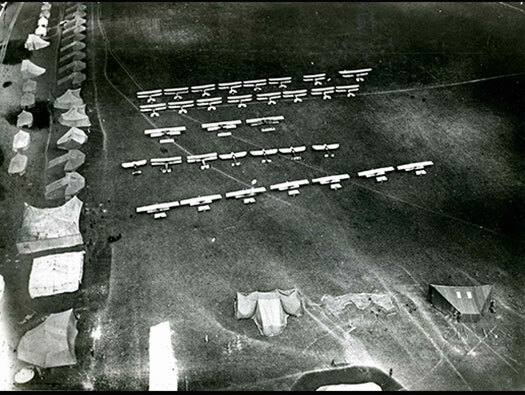 (iii) To land 100 unloaded Horsa gliders by day. (iv) To display various items of Airborne equipment on the ground. Troops of the 6th Airborne Division. Steel frame, cast concrete and glass widows. 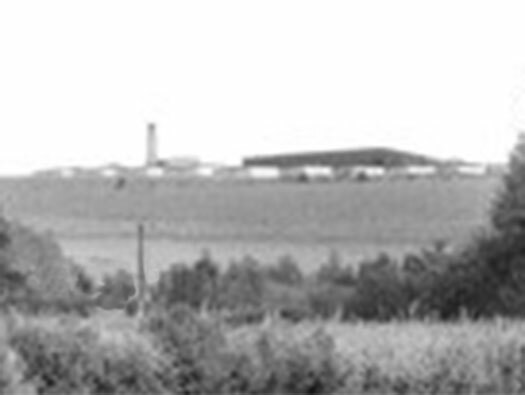 RAF Shrewton a field across Salisbury Plain to the west was used as a satellite by Netheravon for pilot training and night flying. Fairey Battles replaced the Harvard's. 1942 & Netheravon changed again to Army Co-operation. Glider & Parachute Exercise Sqn. moved in and were gradually with 6th Airborne working up to D-day. Whitley's as parachute & Tiger Moths for glider pilot training were used. The Whitley's of No.297 Sqn. made ready for the first 1000 bomber raid on Cologne, luckily the Whitley's were deemed unsuitable & sent back. Hectors & Harts were next used as glider tugs to 10 Hotspur gliders. 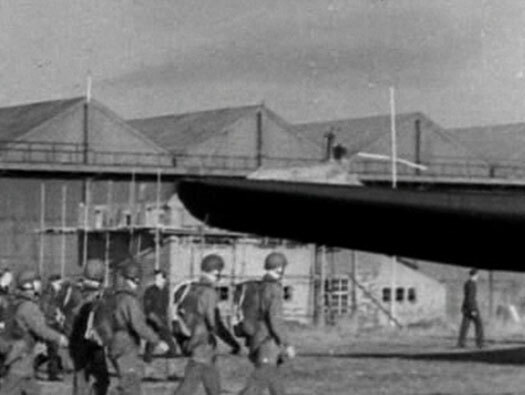 July 42 Horsa gliders arrived for trials. 1943 & the old Whitley were being replaced by Halifax's, Albermarle & Sterling´s. Halifax taking off with a Horsa in tow. 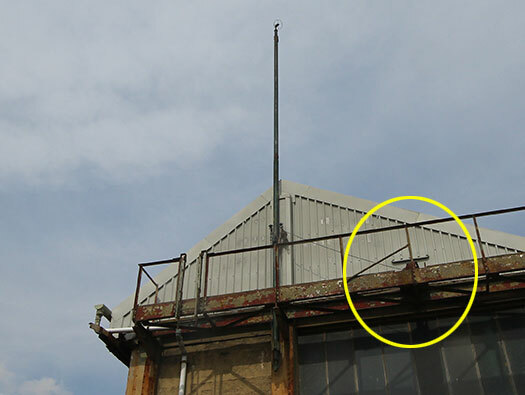 This is a windsock mast and circled is the hand winch to wind it up or down. West entrance to the hangar. RAF 38 Wing that later became RAF 38 Group used Netheravon to learn many lessons of how to handle airborne troops. 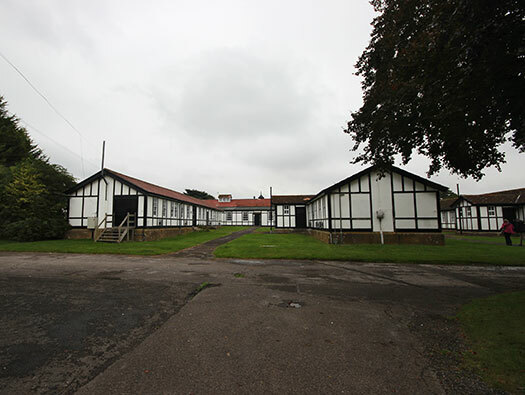 Pathe image of the Type 'A' hangar and the watch offices. Maj. Gen. Browning commander of the 1st Airborne Division. There HQ was at Syrencot House Ablington. 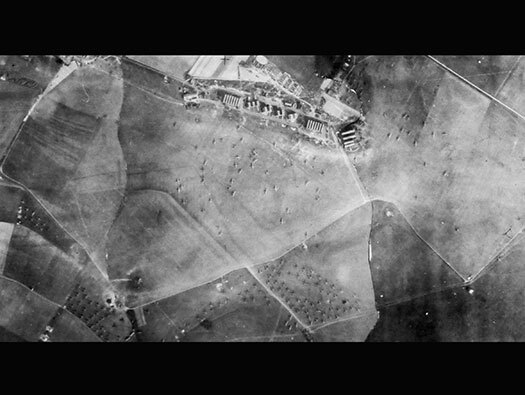 History : The famous Bruneval raid used planes from here to fly paratroops from RAF Thruxton, Hampshire (a satellite airfield to Netheravon) to northern France and parachuted behind the radar station, advanced across country. Steal the required radar parts and also took two POW's and escaped down the hill and were collected by the Royal Navy in assault landing craft and brought home. 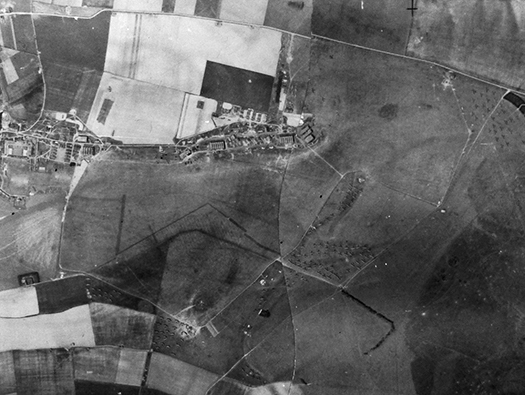 A 1942 para drop just at Netheravon just as it would have looked at at Bruneval. The radar was on the hill and they escaped down this hill and out to sea by RN assault landing craft. Plan of the Bruneval attack. 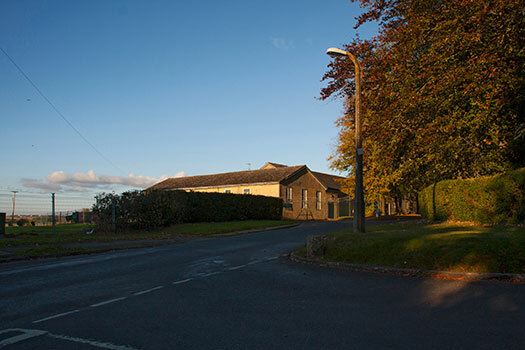 North side offices and workshops. All hangars that I have seen have a side door and the steps leads up to a it. Air-raid shelters below the flight offices. Across in the ploughed field in WW2 there were about 20 wooden huts. 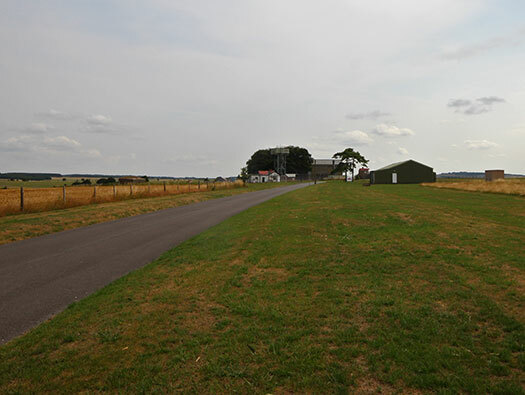 At the end of the tarmacked area was a WW1 1916 side opening hangar. There was also 141 E.P.A.S. & Barrack Warden. - Perm Brick N.N.296 ?? what ever that was. 42h Station Equipment Section & trade test office, 1958 plan. 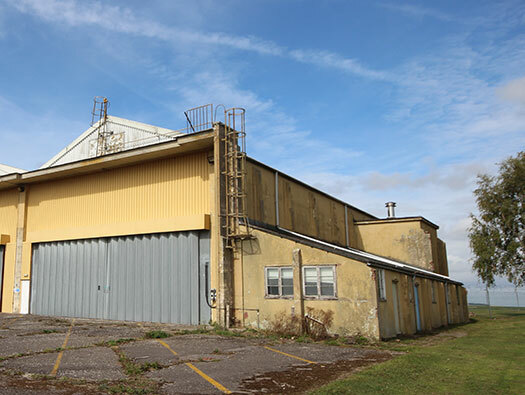 Later to become the Army Parachute Associations parachute hangar. 141 E.P.A.S. & Barrack Warden. - Perm Brick N.N.296 is the building that can just be seen top left hand side. The last days of the old shed, held up with scaffolding because it was gradually rotting out. 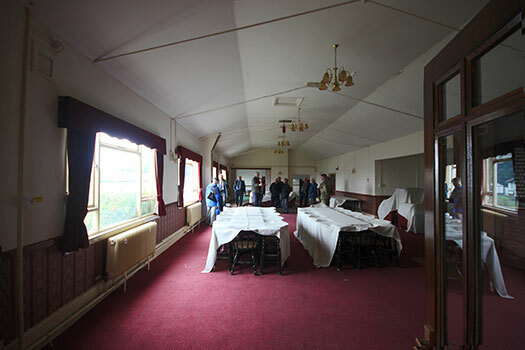 It was a great place with rows of parachute packing tables and a lovely room at the end with sowing machines where Sgt. Jo Reddick ruled the roost. I would sit for hours listening to his stories and watching him repair parachutes. G-AJHO I remember you well. Outside the hangar at here. I have spent a lot of time in her and on a couple of occasions coming out of her. Rapide's G-ASRJ, G-AJHO and G-AGTM. All in Peter Stuyvesant colours. Me just climbing into G-AJHO. This was 1968 about to jump out. 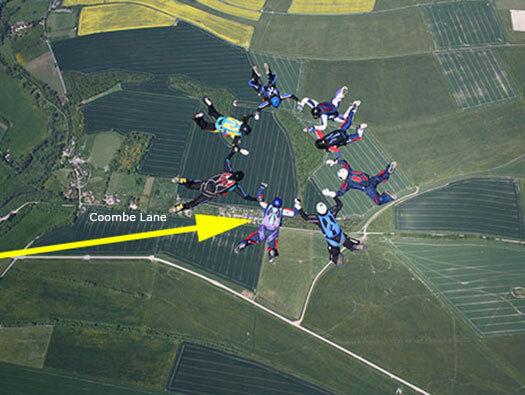 Sport parachutists joining up over Coombe Lane, Enford slightly north of the airfield. 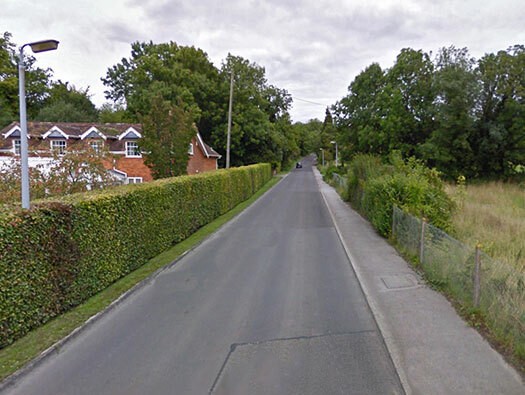 The yellow arrow points to one of the houses, this was where our new young family started all those years ago. Before we head back into the west camp, just a bit about the Airborne Forces at Netheravon. Some Dakotas by one of the 'A' sheds. Lt General Browning commander of 1st Airborne Div. 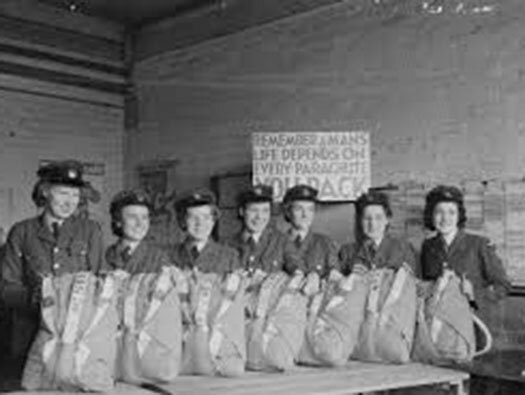 WAAF parachute packers. I believe the two large A.C.S.sheds at the far east of the airfield were used during the later part of WW2 as packing sheds fr parachutes. These would be issued out to the airborne troops as and when needed and when returned, thoroughly checked, repaired, dried and repacked. A very important date with 6th of June coming up in one months time. 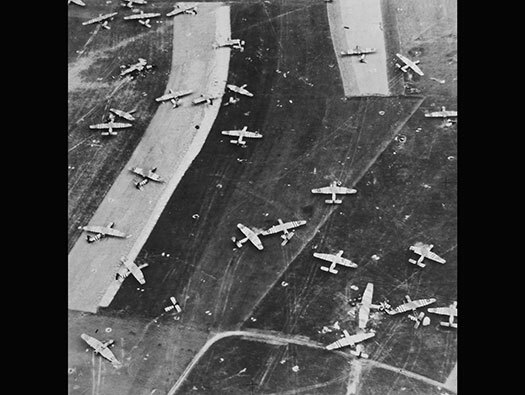 Exorcise Dingo I & II were large scale glider landings to train for the mass glider borne part of the D-day landings. If you wish to count the gliders, the ones on the airfield are the ones landed and the ones on the periphery are spare gliders not used. D-Day landings around the Ranville area. This was a very successful landing. Sterling glider tugs at RAF Keevil or Tarrant Rushton. Pegasus bridge with the three Horsa gliders in the background. The Pegasus Bridge Operation D-DAY. Pegasus Bridge here. 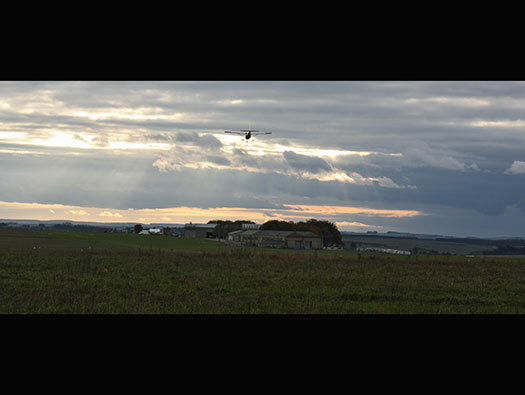 The six gliders were flown from RAF Tarrant Rushton but did a lot of their landing practices in the fields around Netheravon. 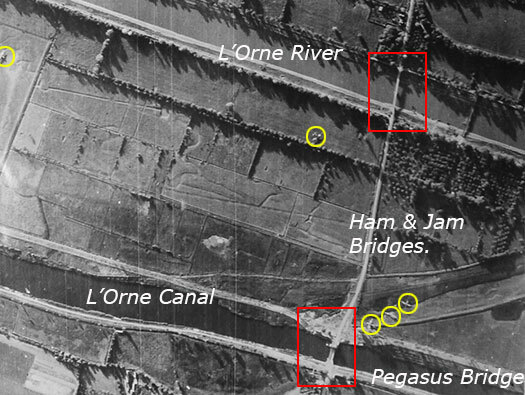 'D' Company, 2nd Battalion, Maj Howard and his Oxfordshire & Buckinghamshire Light Infantry landed around midnight on the bridges and captured them both , held out until relieved by the Commandos and the main force who landed at Sword beach. Heading back to the West Camp. 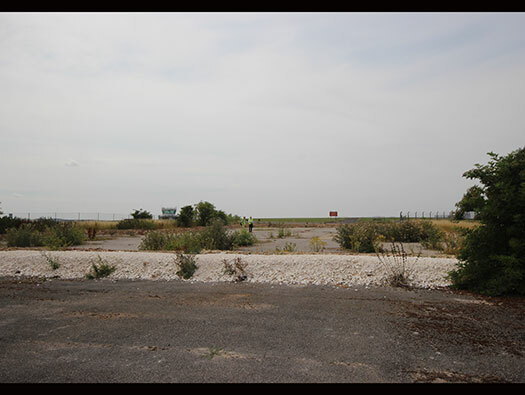 The tarmac I am parked on was used as access to and from the airfield from the Bellman hangar which was by the tree's near the red sign in the distance. This is the lead off of the road to the Bellman shed now gone. The Bellman hangars in the corner of a small photo. 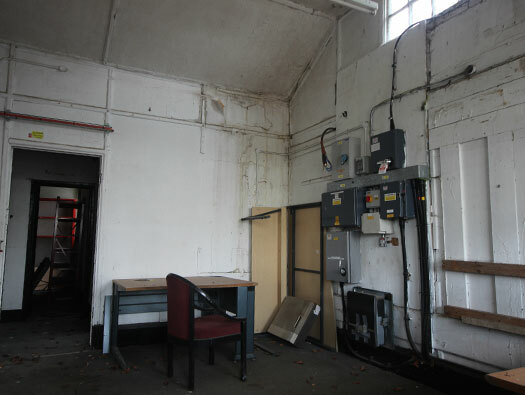 The red brick building was 25 The Central Heating Station [PB] (1805a/51). It had a tall chimney I remember. The RAF always use civilian workers who funnily enough all look like the man in the picture. Now back to the West Camp and looking at the north side. 2 - Sick Quarters [PB] 2 officers, 6 airmen, 1 observation wards. (115/21). 5 - Bread store (41/2inch brick). 18 - NAAFI for 1000 & walk in shop. [Seco] (2467/51). Now removed. 20 - Dinning room & Cook house [PB] (12204/40). 21 - Massing and Rations store [PB] (NN21/1). 25 - Central Heating Station [PB] (1805a/51). Sites of Bellman Hangar, HP Hangar, coal compound. 20 Dining Room & Cook House [TB] (12204/40). 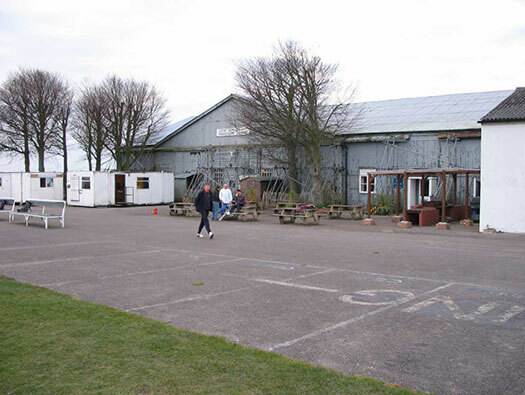 A 1940's addition as the old pre war camp could not cope with the large expansion for wartime. 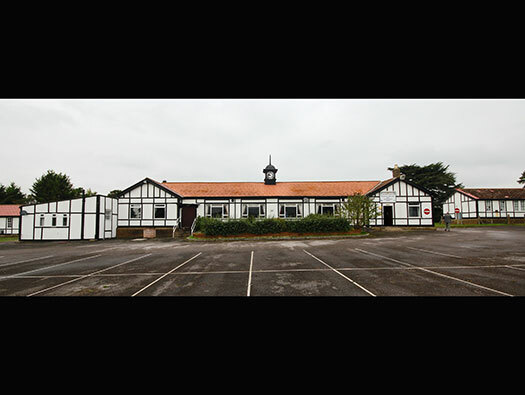 This is a typical WW2 style building with an E shaped plan. Front, Me and our stock boy, Barry ? ( can't remember his name now) from Sue Dougherty. The NAAFI manager and his staff in the 1960's. The Manager at the time I remember was Arthur Catchpole, on far right and he lived in the flat above us in Downside Road, Netheravon. Thank you Sue. Downside Road, Netheravon. Arthur lived in the top left flat and we lived in the one below..
Back left, me, then Rene Sainsbury. 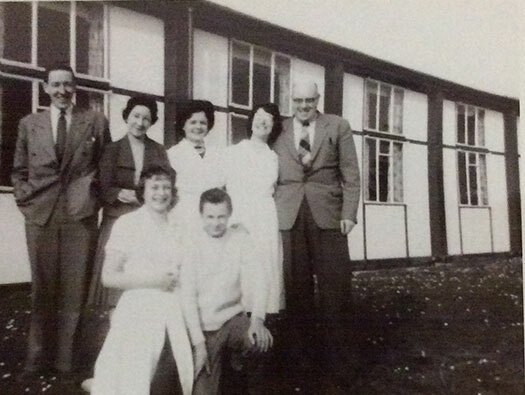 Next left is Ruth Burgess, Reba Sainsbury ( dark cardigan) and then Mrs Dora Burke. Photo about 1961. Earlier NAAFI on the other side. Yes hot water, sheets and rooms to themselves. Several units used these billets one has been the Gurkha´s. Earlier I well remember the Hampshire Regiment. They drew their men either from the Winchester area or from Bristol and I had many friends from Bristol. They lived in Seco hutting. Before them it was the homes to RAF Police Dog handlers. 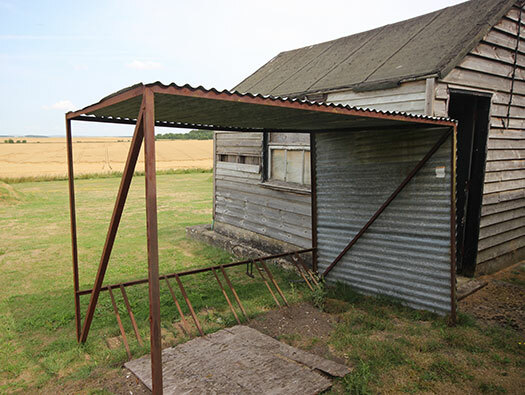 One of the Seco huts these at Netheravon were painted sky blue..
2 - Sick Quarters [PB] 2 officers wards, 6 Airmen´s wards, 1 observation ward. (115/21).But I think for many years it has been used as the HQ of the many units in and out of here over the years. Around the 1920's there was a worry of the French being ably to drop more bombs on us than we could them, so Trenchard decided that the RAF should be at least on a Par with the French. (times do not change). 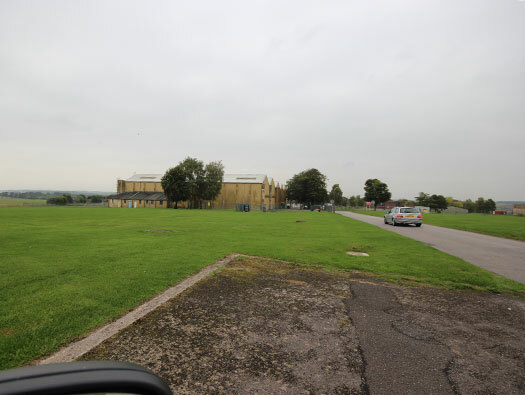 So one of the first RAF expansion Schemes started up and Netheravon was in the middle of it, thus the SSQ and the two 'A' hangars were built for bomber squadrons to use. 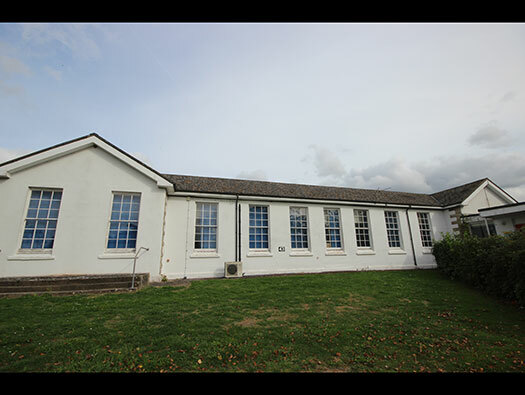 80 Gymnasium, Lecture Room, Cinema, Training Wing, HQ. Offices 121/41/125. Education Centre 42.126/42. Only one remains, which I am not sure. This is what guards and guides are for. Thank you to the CO of Upavon's army camp which parents Netheravon for a wonderful day out. I am sure he will recognise himself, this was the BOSS. 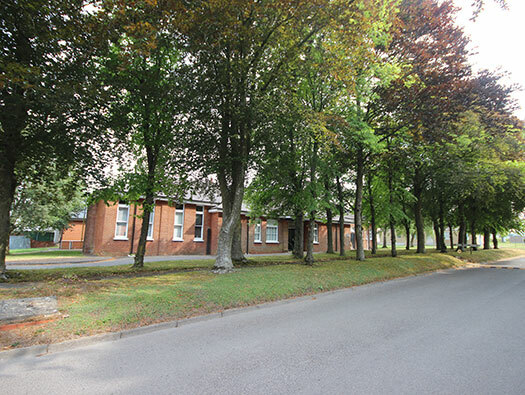 RAF Netheravon, Wiltshire Kirby Ave.
Kirby Avenue Officers Married Quarters. Kirby Avenue plan. OMQ Officers Married Quarters. WAAF quarters. Officers Married Quarters of the types that are here and they also had a garage each showing how many offers owned cars. I believe these were tin huts and this is actually a true story. A painter was painting the guttering when a man walked up to him and said ''When will you be finishing''. The painter said ''soon why''. ''Well we are here to pull down the buildings''!!! I actually heard that conversation as I was there as a kid watching the painter, a friends dad. 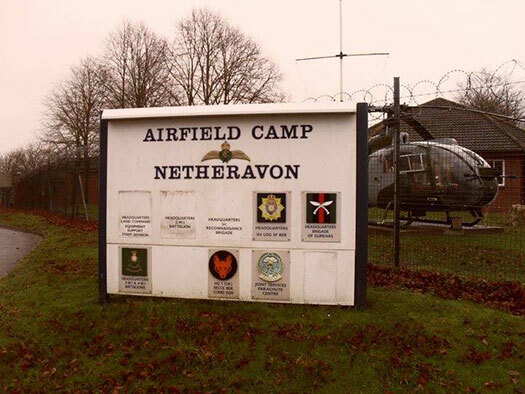 RAF Netheravon, Wiltshire West camp. Well if you are still reading and not bored out of your mind. What is going to happen here in the future. Will an RAF Bicester man come along or a millionaire farmer like Church Fenton/Hullavington?? This place is made of wood. Wood rots. Asbestos sheeting and tiles. WHOOOO asbestos!!!! We can only hope that a sugar daddy will come along and take this camp off the government who state on one hand ''It has to be preserved'' on the other hand they need massive amounts of housing land. 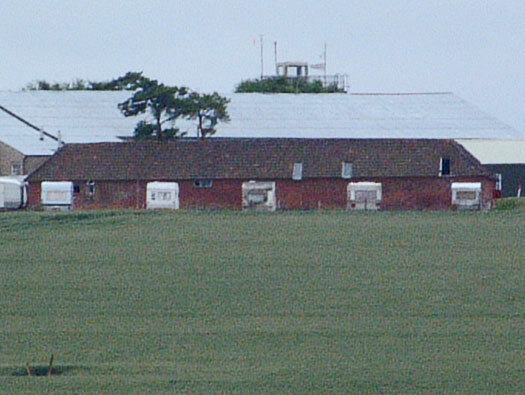 RAF Netheravon, Wiltshire East camp. 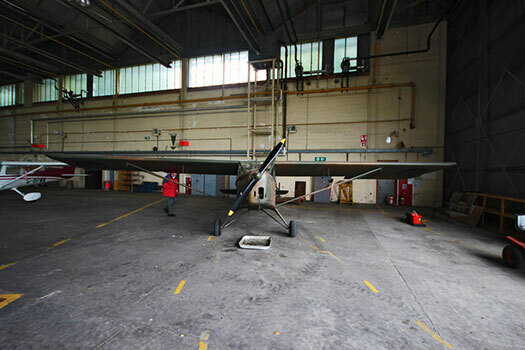 The parachute club may stay here and the hangars also as I believe they too have some preservation order on them. It would be nice to see them stay as they enhance the skyline with their trees surrounding them. The HP Hangar I think will not see it much longer. Although its the oldest and most important historically, its in quite a state.